Activating Pokemon Game Boy Advance GameShark code cheats sometimes tricky. Some of our readers complain that our listed GameShark codes don’t work for them, while some said it works, but there are some weird glitches happening. What could be the main reasons for this? In my more than four years of experience playing different Pokemon game titles and ROM hacks using different emulators across several devices, there several possible reasons why certain cheat fails work. 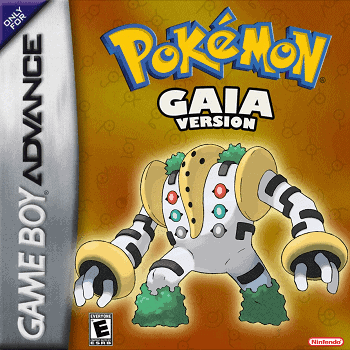 Note: This article is applicable to Pokemon GBA games but can be also applied to other related games on Game Boy Advance. Solution: Some cheats needs to have master code activated before the main cheat, be sure to activate them. 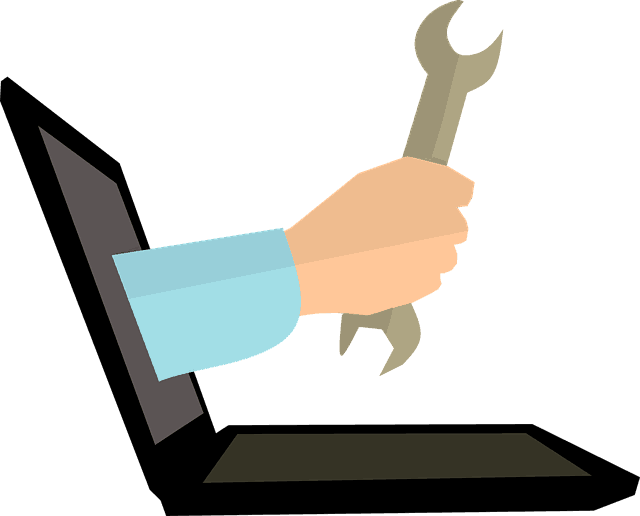 More information you can find by reading this guide. Solution: Double check your game title. Solution: Look for the V1.0 ROMs as this version supports most of the cheats. Doing a simple Google search, you can easily find downloadable ROMS, but most of these ROMs have version 1.1. Unfortunately, most cheats will not work for this version. Update: I recently discovered this Reddit post wherein a member gives a link file for v1.0 FireRed rom, have a look at it before the file gets deleted. Another news I have for you, check Emuparadise and you’ll see that the download links for their Pokemon roms are now back and live. Solution: Use recommended emulators such as My Boy for Android users, Visual Boy Advance for Windows, GBA4iOS for iOS users and Bluestacks or Nox App Player for Mac users. Solution: Some emulator such as open emu requires “+” to be entered to separate a line of code. Read FAQ’s, Instructions and Help articles regarding your emulator. Solution: The popular GBA emulator for Android – My Boy, offers paid and free version of the app. The free version works perfectly but if you use cheats, you may need to pay for the premium version. But if paying for the app is not an option at this moment, the simple trick of adding multiple-liner codes as a separate cheat works well in many cases. Your ROM will get confused when too many cheat codes are activated at once, this could result in various bugs, glitches, random crashing, and game freezing. Solution: Disable unused cheats and activate only the cheat you need. This is popular to emulators that don’t have auto cheat type detection feature and chances are, you have chosen the wrong cheat type. The quick solution for this is simply find the appropriate type for your cheat, it could be GameShark, Action Replay or Code Breaker. 9. Question Mark Sprite on Encountered or Caught Pokemon? A common issue with two possible reasons; First, more likely that you entered the wrong Pokemon encounter code. Second, the Pokemon code and sprite don’t exist in the game. This issue happens a lot when playing ROM hacks. Solution? Double check if the code or the Pokemon exist in the game. It’s frustrating when you can’t activate a cheat and there are plenty of reasons why this thing is happening. Hopefully the solution and information above gives you the insights to finally solve your problem. Just in case the solution above doesn’t work, feel free to drop your comments below and I will do my best to help you as humanely as possible. I used three game ROMs. “1636 – Pokemon Fire Red (U)(Squirrels)”, “1695 – Pokemon Fire Red (U)(Independent)”, “Pokemon Fire Red (U)” (I found it on a site saying it was V.1.0). None of them worked on Visual Boy Advance, it says that the cheats are for another game and it won’t work properly. Also, when I put in GameShark codes and select GameShark advance, it switches back to Codebreaker for some reason. That’s strange, I guess you have the right rom for the cheat. More likely it’s your emulator causing the issue. Try this on My Boy for Android. I used gameshark code to modify wild pokemon. those that I caught using the code dont learn moves while evolving. How do i solve this? Hi Nishant, I recommend using My Boy for Android. It works best for me and to other users. I have a paid version of My Boy! emulator and gameshark version 3 cheats are not working on it. I downloaded an emulator for pc and the cheats work fine. Anyone know whats up with this? That’s strange, did you double check the code? In My Boy, GameShark V3 is the action replay code. When entering a cheat you’ll just have to leave the cheat type to auto detect. Thanks for dropping your comment Bundo. When I’m on my Mac and want to use cheats I usually use Bluestacks with MyBoy installed in it. I do agree that OpenEmu is the best multi-system game emulator for Mac but it doesn’t fully support cheats. Hope this helps. What website you download ur fire red beacuse its not working with emuparadise ver. Hello, I’m karm, and I’m using John gba lite, I can’t get the Pokemon encounter modifier to work, I think it might be a formatting issue? Could someone please give me an example of how it needs to be formatted for it to work or what buttons I need to hit? Hi Karm, you may check my Youtube channel I have plenty of videos wherein I input Pokemon encounter cheats. Hello! I am having an issue with the “wild pokemon modifier”. I’ve put in the master code that it requires, put in the code for slakoth and still coulde’nt encounter him in tall grass. If you’re using GBA4iOS emulator, then the wild Pokemon modifier will not work. Shiny cheat is a buggy cheat. Don’t use it when you notice strange situations happening like this. Pokemon Glazed wild pokemon modifier cheat has mastercode, to make it work add the master code first (as a separate cheat) which is 00006FA7 000A 1006AF88 0007 and finally, add the pokemon code, example 83007CF6 0006 to meet Charizard. Hey man so I got the master ball cheat to work but the rare candy cheat wont work im on Myboy(free version) so no master code and cant figure out why thanks for help. There’s no need to add master code for rare candy cheat. Can you tell me the Pokemon game you are playing? Thanks for dropping here Louis, but I’m afraid I can’t help with your request this time. For some reasons Walk Through walls cheat code is not working in Mega Emerald XY. Maybe the creator of the game disabled the cheat. Check the version of your ROM, if it’s V1.1 then most likely the wild Pokemon modifier will not work. If you have v1.0 rom but the cheat still fails to work double check if you entered the code correctly and if it doesn’t help try switching to other emulator, I recommend My Boy. Try looking for V1.0 (US) rom. You can easily determine if your ROM is v1.0 or not by simply applying the cheats in it. When almost all of the cheats do not work then chances you have the V1.1. I can feel you Don, you can start with Pokecommunity.com, this is a good resource for every Pokemon rom hacks and articles. Also, don’t forget this website – Pokemoncoders.com, we have the resource of cheat codes and other help guide articles to get your started in your Pokemon gaming journey. I can’t get the infinite money cheat to work. I’m playing Pokemon Leaf Green on the VBA emulator on my laptop. whenever I put in the master code then the infinitemoney code in the gameshark thing, my game freezes and I can’t move my character. What version of LeafGreen do you have? You need a V1.0 for the cheats to work. Hello, PokemonCoders.Im using My boy and playing Pokemon Mega Emerald X and Y edition,but when i cheat wild pokemon modifier like cell it doesnt work,rare candy and master ball only work why? Not all cheats will work with ROM Hacks, maybe it’s because of the modification made of the rom. I’ve experienced that too and unfortunately there’s nothing we can do about it. If you can provide the source of the cheat or the cheat code itself maybe I can give more suggestions and help. Hello, I’m using a John gba emulator on my android and I’m playing Pokemon leaf green. The simple codes usually work. However, as soon as I enter the master code, it says the code is invalid. I’ve entered it with and without all cheat types but it still says invalid. Could you give me a suggestion on what to do as he codes that I want to use cannot be used without the master code. Be sure to select the appropriate cheat type, John GBA don’t have auto detect cheat type feature not like My Boy so you have to select it yourself. You may choose from “GameShark Code”, “GameShark V3” often called as Action Replay code or the “CodeBreaker”. Hi there pal, I hope that’s possible but I can’t. Nintendo is cracking down websites that upload and shares rom files. I don’t want to mess with them that’s why I decided to stop sharing V1.0 roms. Thank you for understanding. I’m having trouble and I’m considering whether it’s a version thing? So in my case, it’s Fire Red. The “Get all 3 starters” CodeBreaker (not GameShark) which should be 83000F9C 0000 (those are zeros, all of them). Now I’ve read guides, faqs, watched videos… and it just won’t work. My Boy (free version) on Android. Thing is, the very SAME ROM on my Visual Boy in PC can work the code like a charm. So I’m thinking that the problem is not the code nor the ROM, but the emulator. And yet, many people claim it works in their My Boy (and the YT videos seem to testify to that, unless they’re somehow fake). My Boy Free version don’t accept two or more liner cheat codes. This means when the cheat has more than one line then it will be rejected unless you will spend for the paid My Boy which I did and didn’t regret it. Visual Boy Advance is a good alternative for My Boy free as the software is free to use and offers all capabilities you need. On the other hand, if have GBA rom version v1.1 then most likely not all the cheats will work for these emulators. I need some help. Since a few days i play pokemon emerald on my android phone and i want some cheats like catching a deoxys. But when i activate the master codes, following the code to catch deoxys, I find a wild deoxys but a few seconds laer the game resets automatically. CAn someone help me? I dont have much knowledge about this so please an easy explain. First off, cheats works best for Emerald V1.0 not the V1.1. You also need to have a good GBA emulator that fully supports cheating such as My Boy. Lastly, be sure to activate a cheat after use to avoid conflicts which could result to random game reset, crash or freeze. It has nothing to do with JohnGBA, it’s your ROM version causing your frustration. Most GameShark cheat codes for Pokemon GBA games works only for V1.0. So, I suggest looking for V1.0 rom. Try and downloading Matsu Player at the play store. Preferably that’s what I would use, but it’s just my opinion. Hey dude, honestly I’m not a fan of No$GBA, try switching to Visual Boy Advance if you really want to use cheats, VBA is more popular than No$GBA or alternatively you can install Bluestacks to play My Boy for Android on your PC. You mentioned the cheat for rare candy that shows up in Mart instead in the PC, well, you need the other version of the cheat. Check this for FireRed or check this for Emerald. I even have videos for those said cheats, check this. Check Rare Candy cheat at My Boy Pokemon FireRed Best 10 Cheats or Pokemon Emerald Rare Candy Cheat. Hello Andrew, for some reasons Pokemon encounter cheats won’t work on GBA4iOS. But the other cheats works fine though. For what particular Pokemon game are you referring? WHAT IS THE MASTER CODE FOR MY BOY PAID VERSION. Can you please provide the name of the cheat as well as the Pokemon version? Hello, PCoders, I’ve used the Walk Through Walls cheat code provided in the description of your video of that cheat being used,I’m on MyBoy (paid version) and every time I go to enter the code it says, “cheat code invalid” and I copied and pasted the code into a Google Doc so I could copy it again on my phone, and then paste it where you insert the cheat code. Is it something I’m doing to cause it to say that, I even doubled checked to make sure the codes matched up for Pokèmon Emerald on Gamefaqs.com and they matched so I am bumfuzzled, so if you could help me with my problem, I’d really appreciate it a lot. 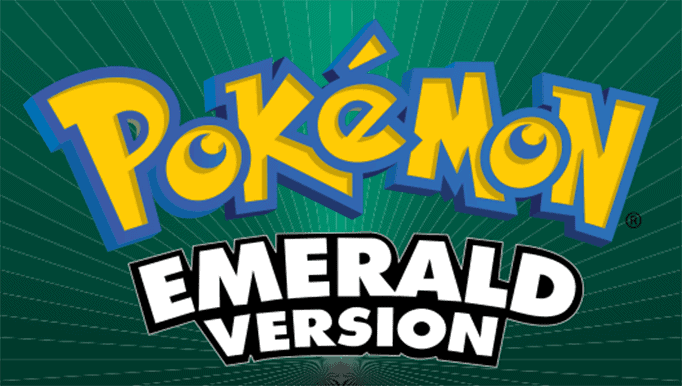 Hi there Tigar, it could be the emerald rom version you have is V1.1? Where did you get your emerald rom btw? I’m happy to help. I am having trouble getting the codes with multiple lines to work on my emulator (android). The one I’m mainly using is GBA.EMU, but this emulator requires one lone of code per cheat. I’ve tried inputting each line separately and giving them all the same name, or numbering them (shiny1, shiny2, etc. ), but still no luck. I’ve tried a few other emulator apps, but the cheats either aren’t allowed, or require single-line codes. Suggestions? For more reliable and fast GBA emulation I would suggest using MyBoy. Most free apps have limited capabilities and so GBA.EMU as well as MyBoy. I strongly suggest buying MyBoy, you will not regret when you pay for the full version. Although I do not suggest but you can go with MyBoy APK which you can download online, just do a Google search. I’m playing Fire Red (squirrel version) and using VBA as my emulator. I’m wondering if there is any possible fix or way around the weird name issue that results due to using the Shiny Code? I dont really want to nickname them, and I have tried to disable the cheat when asked if I want to nickname them but the code either doesnt work at all or the pokemon still ends up with a weird name. I dont want a female, the code listed for the gender modifier is not working. Just tested them out individually and the Gender Modifier code works, but not with the Shiny Code. Unfortunately I can’t find a fix for the weird name issue for the shiny code. Also, I understand that you want a shiny male but as after some tests, I found out that getting shiny males or females with the shiny code depends on the rom version. Still didn’t work. Uh… when someone makes a hack version of the game can they actually block cheats from being able to work? Not sure but I think they can block cheats from a rom hack but most of the time rom hackers won’t do it. Regular cheats will work as long as the base rom supports the cheat code. save that as bulbadaur then activate it but it doesnt work am i supposed to add it to the master code cheat all in 1 or what. I understand your disappointment pal but the problem you are having right now is not because of the code itself but of your Rom version. 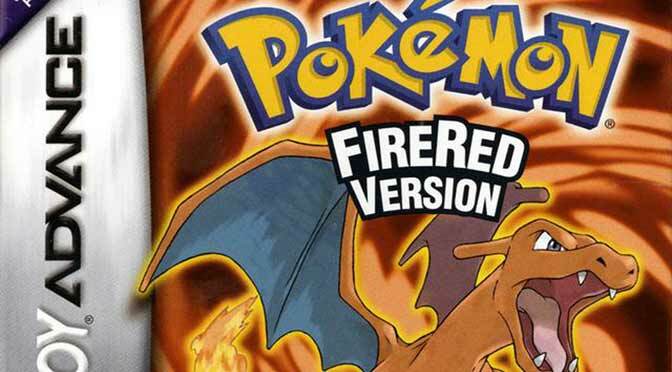 Try looking for another version of FireRed if possible. I’m playing Pokemon Red on TGB Dual. When I try to use its Gameshark functionality, the dialog boxes have a lot of gibberish and ?????? where words should be. The codes never work, and the dialog box never leaves, so I have to quit out. I’m playing pokemon sapphire with openemu on my mac but none of the cheats seem to work. Could you tell me what kind of cheats I should be using and what their format is? For some reasons that happens when you use OpenEmu, try different emulator or play the game in your mobile device. Most likely the cheat isn’t compatible with your ROM version. Any chances of getting another version of the ROM from a friend? Hi I tried the level modifier cheat for Fire Red, it didn’t work and would freeze my game so I changed the GameShark version to 1. After I did that the game didn’t freeze but the cheat didn’t work either. So, I closed the emulator (MyBoy on Android) and started it again, but now when I try to load the ROM the whole app crashes. It’s only happening with this particular ROM. Most likely it’s your ROM causing the problem. Where did you get it? I would love to find a cheat that works for your ROM version. Pomeon emerald (u) Trashman has been taken down from emiparadise? Any other downloads? Sorry to hear that man but I’m afraid I can’t help you. Uploading games online created by Nintendo is not legal and it’s an obvious violation of emuparadise and the files were taken down. But there’s a possibility that emuparadise will make it available again. I had downloaded gba4ios and pokemon emerald a few years ago, and the cheats worked fine. But then I deleted it and decided to come back to it and the cheats where you choose a wild pokemon to appear when you walk through grass doesn’t work. It just crashes when a pokemon finds me. I have been using ign’s cheatcodes on the “wild pokemon modifier second part” I recall the first part did nothing a couple years back and it still does nothing now, but now the second part is causing me to crash. Any suggestions? Thanks, but it keeps crashing. Maybe my game version is bad? Hmm. Most likely, where did you get your ROM? Most of my cheat work on US version ROMs and my emerald cheats fully works on Pokemon Emerald (U) (Trashman) version from Emuparadise. No problem man, I’m glad to help you. I install lastest my boy(gba) version on android but if I want to play cheat it wont work!many time i try it. When I save the line of code in the cheats it automatically puts a space in the middle of the code, is that my problem? That’s normal and it won’t affect the cheat anyway. Man, use FireRed (U) Squirrels version ROM. Hi there Ather, I believe you have a mobile device, VBA is pretty old emulator. I would suggest installing MyBoy(Android) or GBA4iOS(iOS) to play Pokemon Emerald. Cheats can work too with these apps. They did specify on PC though…did you even read the comment? What I exactly mean is, Instead of playing Pokemon on his PC I suggest playing it on his phone. It’s worked once from my first save but I couldn’t battery save that version. Now that I’m trying to start again. The code no longer works even when its been on the exact same version. If you provide any help that would be great because this has been really frustrating, given that it has worked with me before but no longer does now. Man, I totally understand your concern as I’m a Mac user as well. But what I’ve done is I decided to shift to MyBoy. Some Pokemon GBA cheats aren’t working anymore for OpenEMu. I suggest downloading Bluestacks and install MyBoy for Android.